They say there’s “always money in the banana stand”, which could be because more frozen bananas are sold on this boardwalk than anywhere in the O.C. (but don’t call it that). G.O.B. Bluth might not know how much a banana costs (“$10?”), but the flavour is no trick. And no illusion. Peel banana and carefully push stick into base. Wrap banana in a layer of greaseproof paper, then plastic kitchen wrap (to prevent oxidisation). Place in freezer and leave for at least 3 hours. In a small saucepan over a low heat, slowly melt chocolate and coconut oil together. Remove from heat as soon as it’s melted. * Allow to cool slightly (10 minutes or so). 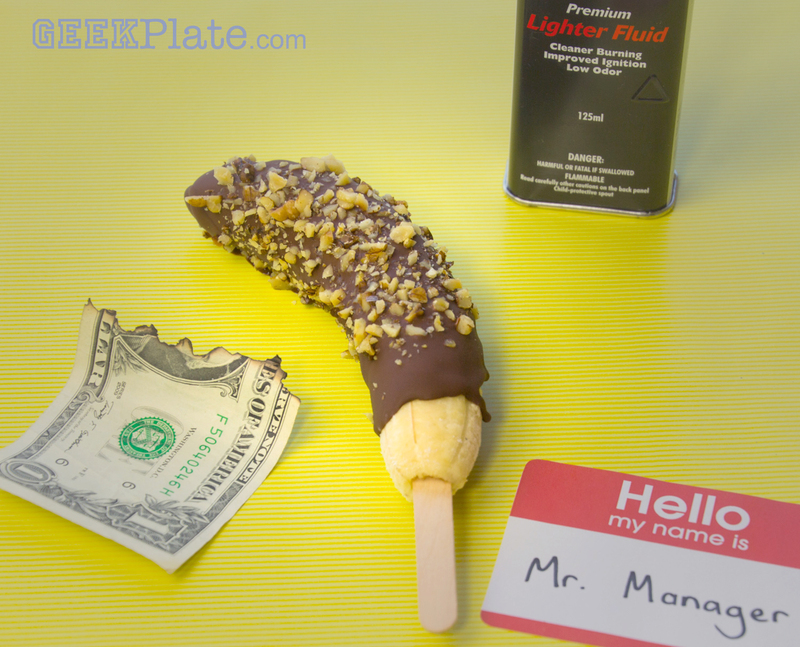 Place banana on set of greaseproof paper with crushed nuts nearby. Slowly pour chocolate mix over banana until covered, and sprinkle quickly with nuts before it sets. 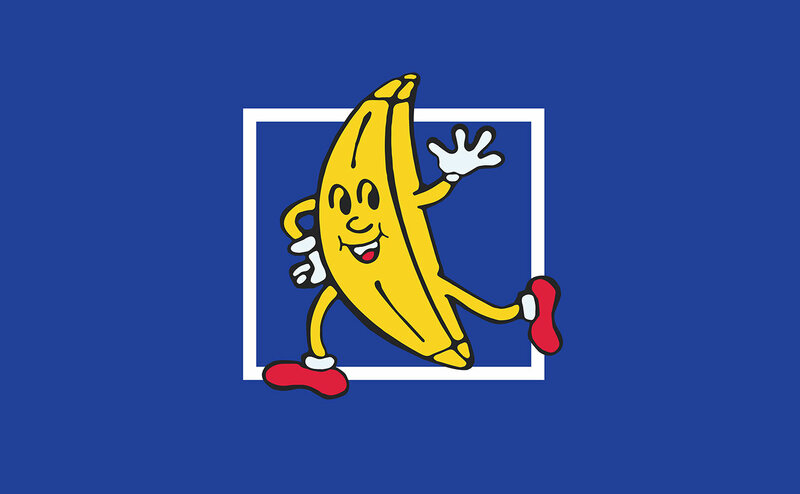 And remember: take a dollar, throw away a banana. *This mix, chocolate and coconut oil, is a homemade version of ‘Ice Magic’. It remains in liquid form until it hits something cold, at which point it solidifies almost instantly. Drizzle it over ice-cream, or any other chilled dessert. This entry was posted in GeekPlate Recreations, Television. Bookmark the permalink.